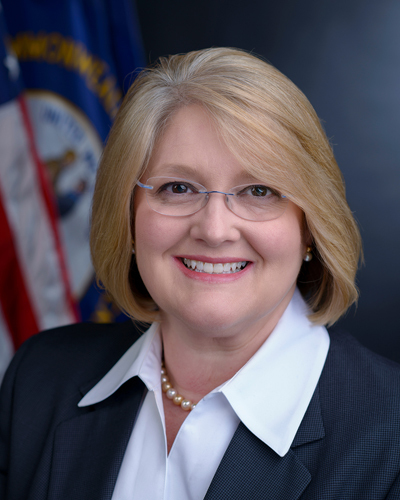 Sandy Dunahoo was appointed by Governor Matt Bevin as the Commissioner of the Department for Local Government under the Office of the Governor December 15, 2015. Dunahoo is a government relations veteran with involvement in hundreds of millions of dollars in local projects over the span of her career. She most recently served as project development specialist and funding consultant for Nesbitt Engineering Inc. Prior to that, Dunahoo served ten years as marketing manager for Kenvirons Inc. in Frankfort, KY and as marketing manager for Elrod Dunson Consulting Engineers in Nashville, TN. From 1986 to 1994, she served as projects manager and local government liaison to Congressman Hal Rogers, where she worked with local governments seeking federal funding. During that time, she worked with local leaders to secure funding to extend water lines to unserved populations, resulting in an increase from 40% served to over 90% in many counties. Dunahoo also led efforts to recognize wastewater and "straight pipes" as a key issue facing the 5th District which resulted in the organization now known as the PRIDE. She also managed the US Army Morale Support Branch Library and taught classes for troops at the Drake/Edwards Kaserne in Frankfurt, Germany. Dunahoo, a native of Beattyville, is a Leadership Kentucky Graduate, Class of 2008 and served as a Board member for 2 terms. She and her husband Charles live in Lexington and Booneville. They have one son.